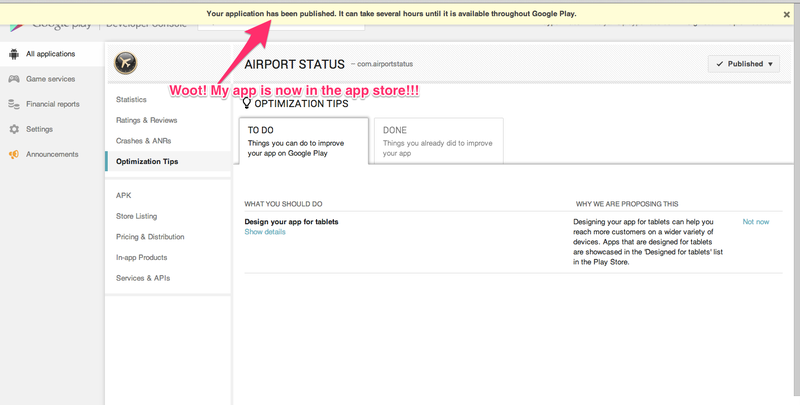 I’m pretty ecstatic to announce that I now have an app in the Google Play Store. For all of September, I spent most of my evenings, (along with a cohort of other engineers), learning Android mobile development with CodePath. The coursework was pretty intense, but extremely rewarding. Each week students wrote sample apps, and were responsible for a final team project by course completion. My team consisted of Ari Lacenski, Sachi Shah, and myself. Our final project was a airport status mobile app. 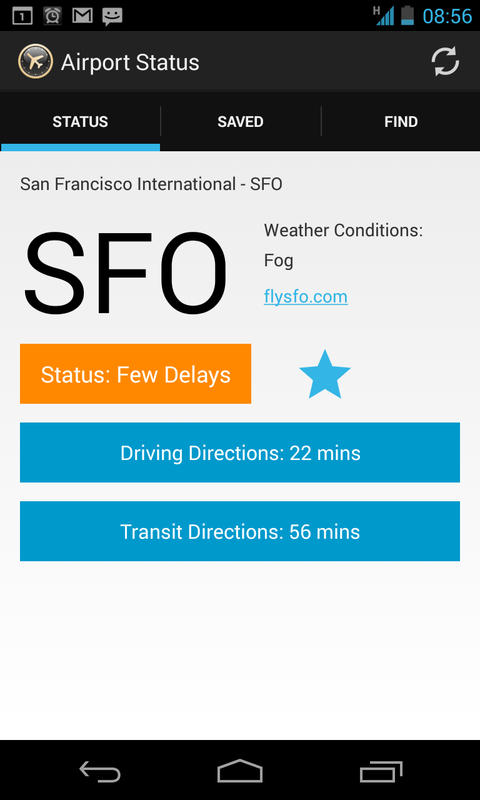 The app auto-detects your closest airport, and gives you the current status of delays at the airport. It also give relevant information, such as current weather, driving or transit directions. It also allows for the saving of frequently used airports. 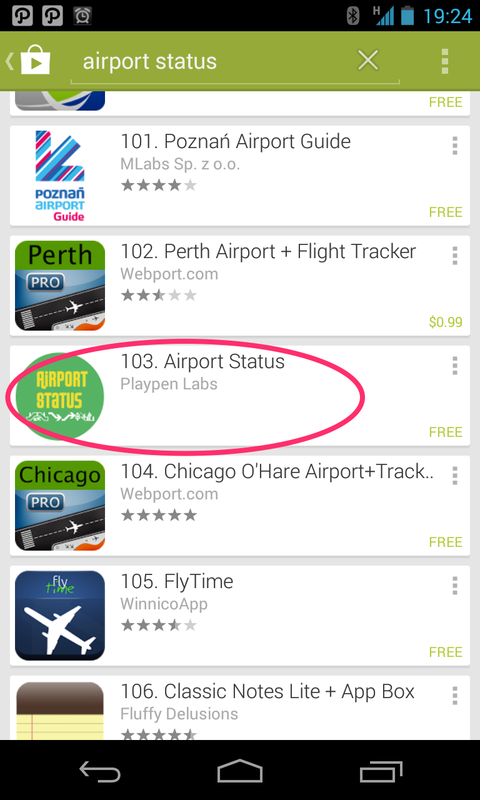 If you have an android phone, please go to the Android Play Store, search for “airport status playpen”, and download our app.